Watch two great intelligent design documentaries online for free! Here’s the first one, all about biological information in DNA and the origin of life. Here’s the second one, all about what it takes to have a habitable planet. These are each about an hour long. 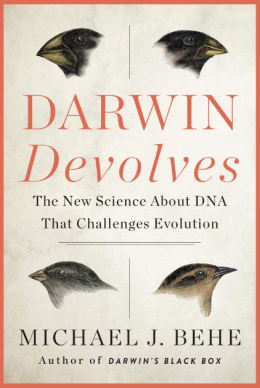 The third one in the series is called “Darwin’s Dilemma”, and it covers the origin of new body plans and organ types in the Cambrian explosion. It’s the best of the series. I’ve decided to spend some time writing extremely short explanations about why I am an evangelical Protestant Christian instead of anything else. First, I want show how an honest person can evaluate rival religions using the laws of logic, scientific evidence and historical evidence. Second, I want people who are not religious to understand that religions are either true or it is false. Religions should not be chosen based where you were born, what your parents believed, or what resonates with you. A religion should be embraced for the same reason as the theory of gravity is embraced: because it reflects the way the world really is. So that’s one reason why I am not a Hindu. I know you guys look at my big list of objective evidence for Christianity, and you think “Wintery! Those evidences are not admitted by the majority of scientists!” I keep trying to tell you – my goal is to give you arguments and evidence that will work in the public square. These are mainstream evidences accepted by most or all non-Christian scientists as fact, and they used in public academic debates. When I tell you about evidences from the big bang, the fine-tuning, the origin of life, the Cambrian explosion, etc., I am telling you evidence that should compel anyone to deny atheism, so long as they are not irrational and emotional. These are not Christian tricks. They do not address felt needs. They are not there to help you to be happy. They are not optional, depending on how you feel about them. But there is another way to recommend Christianity to people, which is not rationally compelling, but instead relies on intuitions and experiences. Some people offer Christian doctrines to others as a way of interpreting the human condition, etc. And it’s true that the Bible gives you an accurate description of your own inner life, and your rebellious attitude towards God. So these well-meaning Christians try to “persuade” non-Christians to consider whether the words of the Bible “ring true” with their intuitions and experiences. And now we come to the crucial question which truly concludes the whole matter. A reasonable agnostic, if he has happened to agree with me so far, may justly turn round and say, “You have found a practical philosophy in the doctrine of the Fall; very well…. If you see clearly the kernel of common-sense in the nut of Christian orthodoxy,why cannot you simply take the kernel and leave the nut? Why cannot you (to use that cant phrase of the newspapers which I, as a highly scholarly agnostic, am a little ashamed of using) why cannot you simply take what is good in Christianity, what you can define as valuable, what you can comprehend, and leave all the rest, all the absolute dogmas that are in their nature incomprehensible?” This is the real question; this is the last question; and it is a pleasure to try to answer it. The first answer is simply to say that I am a rationalist. I like to have some intellectual justification for my intuitions. If I am treating man as a fallen being it is an intellectual convenience to me to believe that he fell; and I find, for some odd psychological reason, that I can deal better with a man’s exercise of freewill if I believe that he has got it. But I am in this matter yet more definitely a rationalist. I do not propose to turn this book into one of ordinary Christian apologetics; I should be glad to meet at any other time the enemies of Christianity in that more obvious arena. Here I am only giving an account of my own growth in spiritual certainty. But I may pause to remark that the more I saw of the merely abstract arguments against the Christian cosmology the less I thought of them. I mean that having found the moral atmosphere of the Incarnation to be common sense, I then looked at the established intellectual arguments against the Incarnation and found them to be common nonsense. In case the argument should be thought to suffer from the absence of the ordinary apologetic I will here very briefly summarise my own arguments and conclusions on the purely objective or scientific truth of the matter. The problem with Chesterton’s view is that it is not rationally compelling. It is apprehended in a subjective way, depending on whether the person likes it or not. This pragmatic approach is popular today because people want to have their felt needs met. But this approach doesn’t allow you to demonstrate the truth of Christianity in the public square, using objective evidence, as Chesterton admits. This rejection of objective apologetics has marginalized Christianity as subjective. I think we need to emphasize hard evidence. We need to have studied science, analytical philosophy, New Testament and history. We need to offer evidence that is objective, not subjective, like the fine-tuning of the gravitational force, so that our opponents are clear that Christianity is objectively true. I think that Chesterton is a bad example for Christians to follow. In the Bible, I see Jesus constantly providing physical evidence for this claims by employing miracles. We can do something similar to Jesus today, by leveraging past miracles, such as the fine-tuning of the gravitational force, in our public debates. We don’t need to invent new ways of evangelizing based on intuitions and experiences. why won’t Christians defend their faith in public? You can read more about the fine-tuning of the gravitational force from Robin Collins, who is the best we have on the topic. Collins started a Ph.D in Physics at the University of Texas at Austin, but ended up completing a Ph.D in philosophy at Notre Dame, under Alvin Plantinga, the greatest living philosopher today, in my opinion. I heard Collins speak at the Baylor ID conference in 2000. Here is a textbook on physics and philosophy for high-schoolers written by David Snoke, a professor of Physics at University of Pittsburgh. He homeschools his own 4 children with this very book. The book contains Bible study and philosophy sections.